It’s a warm Monday evening and I’ve a lot on my mind. We’ve a few big decisions to make at home in the next few days, and there’s tons to do in work tomorrow morning. My 20-month-old son is in bed but not sleeping; I’ve 580 unread emails; I’ve an article on diabetes to write with deadline fast approaching; there are dishes that need done; there are paintbrushes outside that have to be put away; and everything needs to be done before 9pm because I want to sit down to watch The Fall. It’s a typical kind of life. However, all these things – the wee stresses and concerns of everyday life – impact directly on my health. I’m type one diabetic and every one of these outside factors – concern, excitement, yes, even the bloody temperature – can change my blood sugar level. If I don’t keep my blood sugar level balanced and in control it can have serious, short-term consequences. If my blood sugar level drops low (below 4.0) I have what is called a hypo. It has hundreds of ways of manifesting itself but eventually I will become unconscious and cannot function until I am fed sugar. It’s 7.45pm and my blood sugar level is 3.1, which isn’t good. I’m starting to go ‘low’. My legs feel like jelly, I’m struggling to type and can’t think straight. Small things annoy me. There’s a note pad to my left and the corner is folded up and won’t straighten even when I fold it back. Out of the corner of my eye I can see my phone is lit up. That means some idiot is phoning me. I don’t recognise the number, so it’s either about work (piss off, it’s 7.56pm) or someone trying to tell me about a payment protection claim. Small things annoy me. (Did I mention that?) Not always. I like to think I’m pretty cool, calm and collected under normal circumstances. But when my blood sugar is low it’s different. Christ, the phone is ringing again, that page won’t flatten down and the wee man has started crying. Blood sugar 2.2. Very bad. Need to close my eyes. The phone is ringing but I can’t find it. I’m not thinking straight. Need to find some sugar somewhere, but I don’t know where. I think there’s a bottle of warm Lucozade in the car, but the car is at Tesco with my wife. She usually knows where the sugar is. Oh, there’s the wee man’s last Easter egg. That’ll do. Sorry, kid. Well, it’s now 9.45pm. I’m taping The Fall so don’t tell me what happens. It’s been an interesting evening. When I started working on this piece about an hour and a half ago my blood sugar had started to dip, and as I worked it dropped very quickly and I narrowly avoided a hypo. I had taken some sugar, but not enough, to try and bring my blood sugar level up to a ‘normal’ level where I can function without falling over. This is the key to life with type one diabetes – your pancreas doesn’t produce the hormone ‘insulin’ at all so your blood sugar will constantly rise after meals. Insulin must be injected five times a day to keep your blood sugar level. I test my blood sugar by pricking my finger about six or seven times a day. Insulin will bring the blood sugar down after meals, but it needs to be managed correctly. I’ve taken too much this evening and almost had a hypo. Thousands of other outside environmental factors – such as exercise – affect my blood sugar as well. When I was a kid, my blood sugar was always low on Christmas Eve because I was so excited. Last week, like a big baby, I struggled to keep my blood sugar levels high the day before I went to see Ireland play England at Wembley. This was due to the added adrenaline in my blood system because I was genuinely excited about going to a football match. Type one diabetes is very different to the most common form of diabetes – type two – that is often linked to being overweight and an unhealthy and sedentary lifestyle. Diabetes accounts for roughly 10 per cent of the entire NHS budget– £1 million per day here in the North. £365 million per year that could be spent on fighting cancer or on keeping children’s heart services here. That vast overspent on diabetes is mostly accounted for by bad blood sugar management amongst type two diabetics. 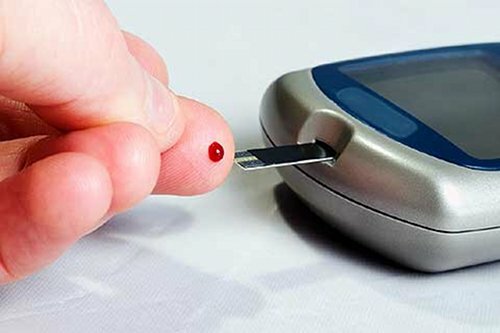 Diabetics who do not control their blood sugar levels wisely will suffer from often grave – and expensive – side effects, such as amputations and blindness. Late diagnosis can also lead to a serious vicious cycle where overweight people have allowed their diabetes to go undiagnosed and untreated, which has led to circulation problems and an inability to exercise. ‘artificial pancreas’. This device would constantly monitor a diabetic’s blood sugar and then use an insulin pump to provide the body with appropriate insulin doses – just like a working pancreas does for everybody without diabetes. Such technological breakthroughs can only be achieved after months and years of expensive research, but could make the lives of the 7,000 adults and 1,088 children here with type one diabetes a whole lot easier.